For more then twenty-five years he has limited his practice exclusively to the examination, diagnosis and treatment of TMJ and facial pain disorders. Dr. Moodt has been long recognized as the leading expert in TMJ disorders in the greater Cleveland area. Thousands of patients have been referred by hundreds of doctors over the past 25 years of active practice. To date, Dr. Moodt has examined, diagnosed and treated more then 10,000 patients with TMJ and facial pain disorders. Dr. James Moodt has attended BaldwinWallace College, The Ohio State University and graduated with a Bachelor of Science degree from Case Western Reserve University in 1976. Dr. Moodt then entered the Case School of Dental Medicine and was awarded the Doctor of Dental Medicine (D.M.D.) degree in 1978. Following completion of dental school studies Dr. Moodt completed certification and licensing requirements for the National Dental Boards, Northeast Regional Board of Dental Examiners and obtained his license for the practice of dentistry in Ohio in 1978. Dr. Moodt entered the United States Navy Dental Corps. and became a staff dental officer at the U.S. Naval Dental Center, Parris Island, South Carolina from 1978 to 1981. Additional duties while in the military included a position as staff dental officer at the U S. Marine Corps Air Station Beaufort, South Carolina. He also went on to serve as staff dental officer; U. S. Naval Hospital; Beaufort, South Carolina. Additional accomplishments include membership in the American Dental Association, Academy of General Dentistry and Ohio Dental Association for which Dr. Moodt has served as an alternate delegate for the state meeting. In 1999 Dr. Moodt was recognized as one of the leading dentists in the nation when he was awarded Fellowship in the International College of Dentists. Memberships in other dental organizations include Omicron Kappa Upsilon National Dental Honor Fraternity, Pierre Fauchard Academy, Delta Sigma Dental Fraternity, and Greater Cleveland Dental Society (past board member). 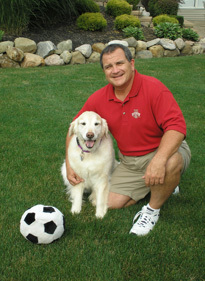 He has also been a Fellowship eligible member of The American Academy of Craniofacial Pain for more then twenty years. Additionally Dr. Moodt's expertise and knowledge in the field of TMJ disorders has been widely recognized by his peers. Frequent lectures and seminars on the subject of diagnosis and treatment of TMJ disorders have been presented by Dr. Moodt. He has also presented guest lectures to students at the Case School of Dental Medicine on many occasions.